Bad posture is the leading cause of chronic back pain. 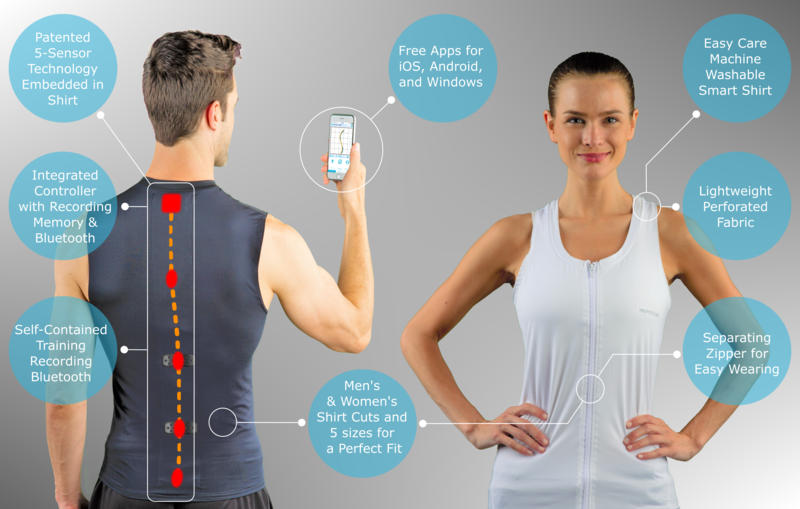 TruPosture™ is a comfortable SMART SHIRT that helps you improve your posture accurately and effectively. It monitors the curvature of your entire spine, and reminds you when your posture is bad. “Continual poor posture will cause back pain in the long term. SIGN UP HERE TO RECEIVE INFO AND EARLY-BIRD DISCOUNTS ON TRU POSTURE PRODUCTS!